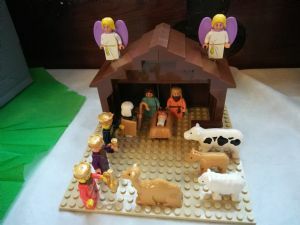 A Nativity Festival in Southport featured many nativity scenes made out of different materials - from lego, wool, paper to more traditional scenes. 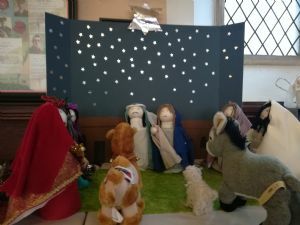 Along with a stable where people could put themselves into the scene, there was also craft time for children, who could create their own angels, animals or other characters, which built up during the week. 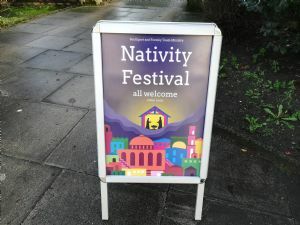 Held at St George’s United Reformed Church on Lord Street, the scenes were contributed by organisations within Southport and Formby churches, including the Junior Family Church at Churchtown Village Church. Viv Cottrell came by to view her church's display and look at all the others. She said, "It's a lovely expression of the faith of churches and is really interesting to see different interpretations. "It's a good thing for the people of Southport to have an opportunity, in the midst of all the madness, to just focus on what Christmas is all about." 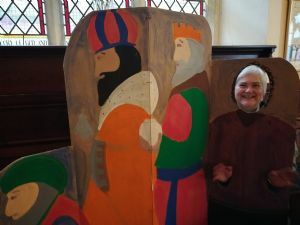 The Revd Janet Calderley, of Formby United Reformed Church, said the project had all the hallmarks of being a good event to reach the community but it hadn’t been well attended – and lessons have been learnt! She added, “It was worth doing.